Travel day from connecting city in Europe. Flight duration from London to Nairobi is about 9 hours with a 2-hour time difference. Everyone can expect to arrive in evening, where they'll be met at Jomo Kenyatta International Airport and transferred to the hotel located about 30 min away. Those arriving a day earlier may want to relax and time-shift or take one of our available day trips out of Nairobi. Night at Boulevard Hotel in Nairobi. After breakfast depart for Mt Kenya National Park on the slopes of Mt Kenya. 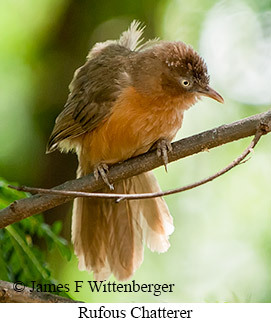 Birding stops en route will be aimed at finding the endemic Hinde's Pied-Babbler and wetland weavers such as Grosbeak Weaver. Lunch will be at Castle Forest Lodge, where the grounds are a good place for the endemic Kenrick's Starling and Abbott's Starling, the latter a rather striking black and white bird restricted to highland forests. Few birding tours stop at this out-of-the-way site even though it's one of the best places to find these endemics. 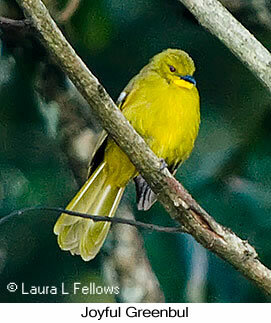 Other birds there include Silvery-cheeked Hornbill, White-eyed Slaty-Flycatcher, Eastern Double-collared Sunbird, Thick-billed Seedeater, Gray-headed Negrofinch, and Yellow-bellied Waxbill. From there proceed to Mt Kenya National Park, arriving late afternoon for a one-night stay. The lodge is located adjacent to a water hole where game animals visit at dusk. It's possible to see Cape Buffalo, Bushbuck, Common Duiker, Red Duiker visiting the water hole while Egyptian Mongoose and Genet frequently put in an appearance after dark. Night at Serena Mountain Lodge. Morning bird roadsides within Mt Kenya National Park where good habitat offers many possibilities, including Mountain Buzzard, Hartlaub's Turaco,Red-fronted Parrot, Black-backed Puffback, Gray Cuckooshrike, African Hill Babbler, Tacazze Sunbird, and Golden-breasted Bunting. Also possible is Syke's Monkey. After early lunch transfer to Buffalo Springs National Reserve in the more arid north, arriving mid-afternoon in time for some exploration of the reserve. Buffalo Springs is less rugged and more open than adjoining Samburu National Reserve. 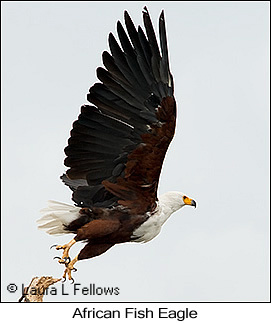 The habitat is gently rolling lowland plains marked by stands of Doum Palms, a large spring that gives the reserve it's name, and Acacia woodland along the rivers. The remainder of the afternoon will be devoted to visiting the springs for which the park is named. Wetland birds usually present include African Openbill, Abdim's Stork, Goliath Heron, Hamerkop, Sacred Ibis, and Hadada Ibis. Mammal watching should be very good and offers the possibility of Lion and Cheetah as well as various mammals not present further south, notably the endangered and quite striking Grevy's Zebra, the strange long-necked Gerenuk antelope, and the beautiful Reticulated Giraffe, a separate subspecies from the more southerly Masai Giraffe. Along the river large numbers of Elephant come down to drink, and Leopards are regularly encountered in the woodland, especially in early morning and at dusk. Night at Ashnil Samburu Tent Camp. Samburu National Reserve is more arid than adjacent Buffalo Springs. It features rocky escarpments, hilly terrain, semi-arid grassland, and riverine forest. 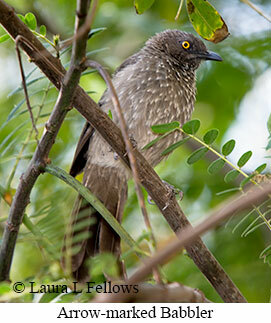 The entire day will be spent in the reserve, concentrating on birds of riverine forest in the early morning. Specialty birds characteristic of northern and eastern Kenya targeted here include White-headed Mousebird, Northern Red-billed Hornbill, Somali Long-billed Crombec, Somali Bee-eater, Bristle-crowned Starling, Kenya Violet-backed Sunbird, Black-capped Social-Weaver, and White-headed Buffalo-Weaver. On the open plains birds of special interest include the blue-necked Somali Ostrich and the strikingly plumaged Vulturine Guineafowl as well as Fan-tailed Raven, Somali Short-toed Lark, Brown-tailed Apalis (a likely future split from Yellow-breasted Apalis), Black-bellied Starling, Bristle-crowned Starling, Golden Palm Weaver, and Red-rumped Waxbill. Also likely on the open plains in bushed grassland are Yellow-necked Francolin, Palm-nut Vulture, Hooded Vulture, Martial Eagle, Buff-crested Bustard, Somali Courser, Black-faced Sandgrouse, Lichtenstein's Sandgrouse, Rosy-patched Bushshrike, Gray Wren-Warbler, Golden-breasted Starling, and Golden Pipit. Many mammals will be present as well, mostly the same ones mentioned above but also Beisa Oryx, a beautiful antelope found in the drier parts of the reserve. Night at Ashnil Samburu Tent Camp. After a morning game drive through Lake Nakuru National Park, transfer to Lake Baringo, one of only two freshwater lakes in the Rift Valley, arriving mid-afternoon. Late afternoon birding around the lodge grounds. Night at Soi Safari Lodge. With the help of a local guide who knows where to find roosting owls and nightjars, look for several difficult local specialties he can usually find. 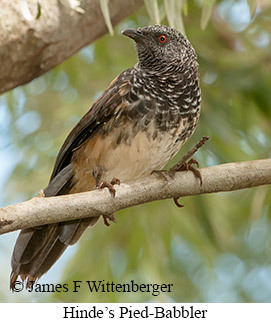 Notable are African Scops-Owl, Northern White-faced Owl, Spotted Eagle-Owl, Pearl-spotted Owlet, Slender-tailed Nightjar, and Three-banded (Heuglin's) Coursers. 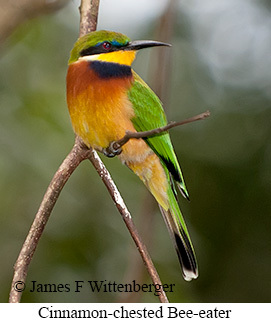 Birding around the grounds of Soi Safari Lodge should yield Giant Kingfisher and many other species. 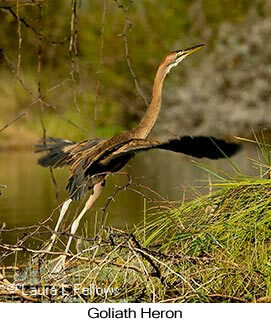 A boat trip on the lake later in the day should offer up Goliath Heron, Great Cormorant, Long-tailed Cormorant, African Fish-Eagle, African Jacana, African Pygmy-Kingfisher, Gray-headed Kingfisher, Pied Kingfisher and various other herons, storks, and shorebirds. Night at Lake Baringo Club. 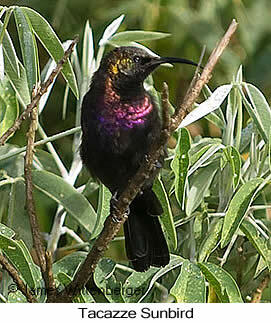 Depart early for Kakamega, birding the Kerio Valley en route. 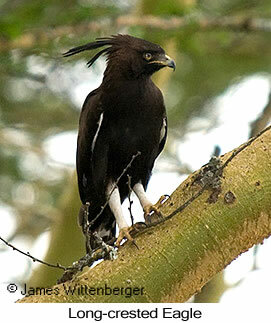 This out-of-the-way road is skipped by many birding tours but offers some really great birds. In the highland forest above the escarpment one can expect to see the beautiful Ross's Turaco. 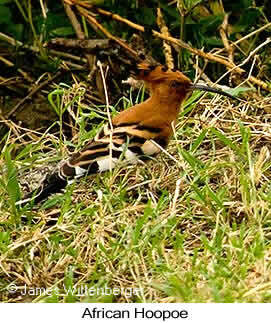 A wetland area along the road is a good place for African Rail. As the road emerges into bushland habitat, look for Crested Francolin, White-crested Turaco, Blue-headed Coucal, Blue-naped Mousebird, Abyssinian Scimitar-bill, Black-headed Batis, White Helmetshrike, Boran Cisticola, Spotted Morning-Thrush, Isabelline Wheatear, Magpie Starling, Mariqua Sunbird, Long-billed Pipit, Golden-breasted Bunting, Southern Citril, Yellow-spotted Petronia, Chestnut-crowned Sparrow-Weaver, and Fan-tailed Widowbird. 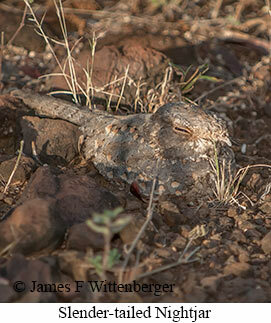 Arrive mid-afternoon, allowing some time to relax or go birding before dark. Accommodations for the next 3 nights are first rate, as is the food. Bring your own alcohol as none is served on the premises. Night at Rondo Retreat Centre. Early morning bird road outside Kisumu and the shoreline of Lake Victoria. Interesting species likely along the road include African Openbill, Shikra, Gray Kestrel, Blue-spotted Wood-Dove, Meyer's Parrot, Black-billed Barbet, Black-headed Gonolek, Angola Swallow, Wire-tailed Swallow, Red-faced Cisticola, Tawny-flanked Prinia, Black-lored Babbler, Black-necked Weaver, Chestnut Weaver, and Red Bishop. The Papyrus beds along the shoreline are home to Papyrus Gonolek, Greater Swamp Warbler, and Lesser Swamp Warbler. The not uncommon Marsh Owl sometimes makes an appearance in the open grassland around the lake. Mid-morning depart for Lake Naivasha, stopping en route in the highlands of the Mau Narok Escarpment and Molo Grasslands, a less visited place where a walk through the grassland should yield two Kenyan endemics, Aberdare Cisticola and Sharpe's Longclaw. 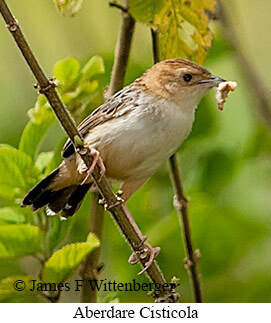 Another highland specialty usually found there is Wing-snapping Cisticola, a secretive bird that will fly up and then quickly land in tall grass after being flushed. A wetland area adjacent to the grassland could offer views of the quite rare Maccoa Duck, as well as Eurasian Marsh-Harrier, Black Crake, Red-knobbed Coot, and African Snipe. Then continue on to Naivasha, arriving before dark. Night at Elsamere Centre (George and Joy Adamson's former home) near Lake Naivasha.